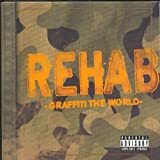 REHAB NO TIME TO GRIEVE LYRICS"
that'll be two for two, headed for I.C.U. what's happened to my sanity? you got a mokey on your back? I got a dragon! All Rehab - No Time To Grieve lyrics are property and © copyright of their respective owners. All No Time To Grieve lyrics provided for educational purposes only.